How to find your way around a Glass Blowing Studio! 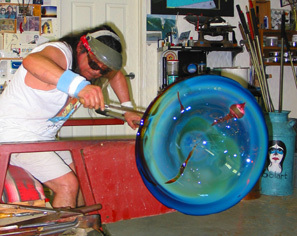 Glass blowing studios, or "Hot Shops" as they are commonly known, can be as different as night and day. They range from high tech, state of the art studios with many hands working together, to hole-in-the-wall, bare bones, one man studios. 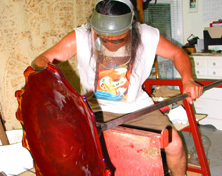 The glass art that comes from these studios is just as varied, but the basic equipment and tools used are pretty much the same.